~ Be Healthy. Be Whole. Is it Christmas already? I can’t believe my favorite time of year is here. Last year, our first homeschooling Christmas, I learned not to over-plan my days and tried to make the most of our days. This year, I am thankful that I actually am (somewhat) accomplishing this – so far. Some of you may have noticed I have not posted for quite some time now. Out of nowhere, actually, we encountered some educational hurdles. Hurdles, which I am happy to report, are mostly working themselves out because of today’s freebie I am offering you a few days late – an Advent Calendar. I don’t know about you, but somewhere between Thanksgiving and Christmas, sometimes I get so overwhelmed about my to-do list or the issues I see my family needing to overcome, that what I’d really rather do is take a Mommy vacation rather than plan for the holiday. To just let someone else plan it for me and I show up. I quickly find myself shifting from an abundantly thankful heart on Thanksgiving Day and then the next day can brace myself with worries of how to plan the upcoming weeks for the “perfect” Christmas. Every year it is so cool to me to see my kids understanding something new about Christmas. I have to remind myself that it is usually not because of my planning this happens, but because Christ is making moments happen for their lives and making Himself known to them on his supernatural timing. My anticipation completely changed from being buried underneath plans, when I stumbled upon this freebie Advent Calendar idea at Handmaden.com from pinterest. With a 7-year-old and a 19-month-old, I needed something fast to create. I wanted my Advent Calendar NOT to be a mere countdown to Christmas where we get a piece of chocolate or toy and forget that day. Because attitude has been the issue at large at our house, I wanted each day to lead up to Christ’s birth and to invite an enticing attitude toward learning. Handmaden.com’s blog provided just that. Isn’t it pretty? I thought it would be more fun for my kids if I printed each day on Christmas contrasting red and green colors. But wait! You were wanting a Christmas devotional, you say? I was floored to find out the simplicity of this advent that she has a single scripture passage for each day to be read right on each day of advent. Simple is what we need over here. My 7-year-old has LOVED going to the calendar to see what scripture will be for the day, then she looks it up in her Bible, and practices reading aloud. Even my 19-month-old knows the routine and can’t wait to go to it each morning. It begins our day with devotions. It is a beautiful decoration in and of itself. If you are an involved parent or a homeschooling parent like me; however, you might want to take it to the next level. 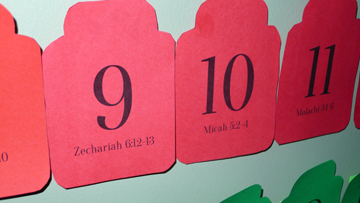 Many families also choose to do an activity for the day with their advent calendar. It could be something as simple as baking cookies or watching a Christmas movie together. On the back of each day, I wrote the theme word or activity for our daughter to find when she pulled it down. THEN, we don’t do the activity until AFTER our studies are done as a reward for her good behavior. This makes our studies sooooo much more enjoyable as we both eagerly await the most fun part of the day that also ties Christ’s theme for the day. When I first read each verse on my calendar, I was suddenly filled with the wonder of the Christmas story. How AWESOME IS GOD that the very birth of Christ was spoken into existence in Genesis! How GREAT is our God who is faithful in our lives today – EVEN when we are hopeless. Like Abraham and Sarah who were in their old age and couldn’t fathom having God do what He said – making their descendants as numerous as the stars. And How GOOD HE HAS BEEN in my life alone! If I were just to think on the ways He has provided for me without even considering my family members… wow! As I read each scripture, then, I decided I wanted to pick out a “key” word out of each passage and do a craft or activity to convey God’s amazing ways. I have been amazed so far at how she “gets” it. I’m soooo excited that “my” anticipation of hearing Christ’s birth is now becoming “our” anticipation. It is addicting too. I cannot stop anticipating how God will move on our behalf and the plans He has for us to do in 2014. Here is a list and links of our 25 days of crafts/activities. For each I have listed a single word that spoke the theme of the verse and then found an activity that went along with this word. Feel free to share and find your own theme word. I hope you feel just as inspired. What activites will you be doing this Advent season? Day #1: Prepare. We made paintings welcoming God to our hearts. We also talked about how we prepare for guests by cleaning the house, so we need to open the door to Jesus so that HE can be the one to clean our hearts, if we will just prepare a place for Him. Also, in Isaiah, they were preparing for the birth of a Savior. Today, we are preparing for the same baby, our now resurrected Messiah, to return. Day #2: Sing for Joy. There are many Christmas songs that fit this. Joy to the World. You could even pick Ode to Joy. Over Thanksgiving, a friend told me that Seeds of Praise was offering a free download. And what was the title of the song that I now LOVE? You got it! The theme I had picked! “Sing for Joy.” I thought they were only offering through Thanksgiving day. But it still seems available and the whole album is awesome and helps your little ones memorize scripture to beautiful song. Day #3: Jesus’ Strong Hand. I have nothing against Santa and think this is adorable. Thought it would be fitting to somehow turn this clay creation into either Jesus’ hand or into Abraham. Love it. Day #4: We sinned. I saw in this melted snowman how we feel after we mess up and wish we could go back to being our normal smiling selves. You can find the original artist and other snowmen to choose from on my pinterest board. Day #5: Abraham and Sarah. Trust God and believe Him. This activity is to make some cardboard cutouts of stars and to wrap them in foil and hang to see. Pretty fun to illustrate how Abraham’s descendants are indeed as numerous as the stars and that Jesus was born under the star of Bethlehem. I found this wonderful site describing it here. At our house this year, we don’t have time to decorate with a Christmas tree, but I found this AMAZING “Jesse Tree” craft. It could actually be an advent calendar or activity to do all alone. But I will use it along with my own advent calendar. The ornament listed in this free downloadable .pdf goes wonderfully with the lesson. All of the historical figures mentioned in this craft all illustrate the root of Christ’s lineage and the people surrounding the birth of Christ. It is so neat to see how the prophecy we are reading comes alive from the Old to New Testament readings through the week. Later we actually make the tree, but here is the info for printing the ornament here. Day #6: Listening to God. We will be playing the song, “Do you Hear What I Hear?” making the Isaiah ornament from Jesse tree and creating the following crafts. Listening and following directions are my main goals for my 7-year-old. She’s a good listener in public, but at home… we are working on it. Since she has Chinese heritage, she loves learning her characters. 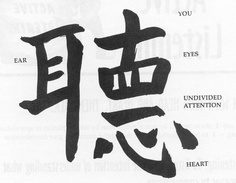 I love how the characters portray listening as from the heart! All found on pinterest. Day #7. Believing God’s promises activity. As in Day #5, this activity is found at the bottom to remind us not to just hear God’s promises, but to believe Him. Day #8. Root of jesse tree and ornament. Day #9. HIS Name is The BRANCH. We will be making a special Jesus branch on our Jesse tree. Day #10. Daughter and son of the King craft. I found this on pinterest also. You can buy it. I thought we could make one of our own. Day #11. Jesus is fire. Fire of the Lord Hats. Again, something you can buy but we will make our own… found on pinterest. Day #12. Jesus was there with God when the earth was made. 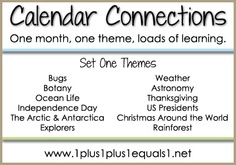 I just found this amazing site on pinterest called “Calendar Connections.” We are learning about the months of the year. Basically, this site can take any occasion or learning topic you can think of and print out corresponding images to illustrate on a calendar for your child. I love the Christmas one they have provided to teach kids about Christmases around the world! Day #14. John the Baptist prepared for Jesus Mark 1:1-3. In our Jesse Tree, the ornament for the day representing John the Baptist is a sea shell. When I was a little girl, my grandma lived in Florida. She was always bringing sea shells, horseshoe crabs, and sand dollars home for all of the grandchildren to hold. My favorite item she would bring was the sand dollar because of its story about Jesus. If you’ve never heard the story, please check it out here. I can’t wait to see my kid’s faces when they find the tiny doves inside the sand dollars I found at orientaltrading.com! Day #15. Luke 1:5-13 Zechariah and Elizabeth ornament on Jesse Tree. Day # 17. More on Zechariah’s transformation when John the Baptist is born. Watch The Nativity Story. If you haven’t seen this, you MUST watch it. It is now a tradition in our house and is one of the most awe-inspiring, biblically sound versions I have ever seen. Day #18. Names of Jesus. Choose one advent ornament for the Names of Jesus. Day #19. Mary gives glory to God for blessing her. Sing songs such as “Gabriel’s Message” by Sting. Or “10,000 reasons” by Matt Redman. Write what God has done for you. Day #20. Zecharias gave his son the name the angel had spoken, “John.” He was not named after his father and this was unheard of. What name does God call you by? Day #21. Zechariah proclaims over his son after not believing. Make another ornament from day #18, “The Highest”. Day #23 Mary hears from Gabriel. We will be making cookies and gingerbread houses to spread Christmas cheer. Day #24. More names of Jesus! Day #25. The angel tells Joseph it is ok to take Mary as his wife. We need to believe God. He has come! Hooray, Christmas is here! Merry Christmas! Please let me know what you loved the most and ideas of your own! Shaklee Online 2019 Catalog – Digital Edition! Happy Rosh Hashanah! Leshana Tova Tikoseiv Vesichoseim! Beating Fatigue: What My Lab Tests Revealed and the Odd Valentine’s Food my Hubby Cooked to Correct It.